TODAY’S BREW: So much of this chocolate cappuccino stuff that my heart will stop when I hit the bottom of the cup. And she kept biting. Poison seared every inch of her insides, filling her with darkness, stripping her of innocence with each second. She cried for herself, and kept biting. The apple red seeped off like fingerpaint, revealing an unhealthy green underneath, not the color of growing grass, but the color of mold and sickness. 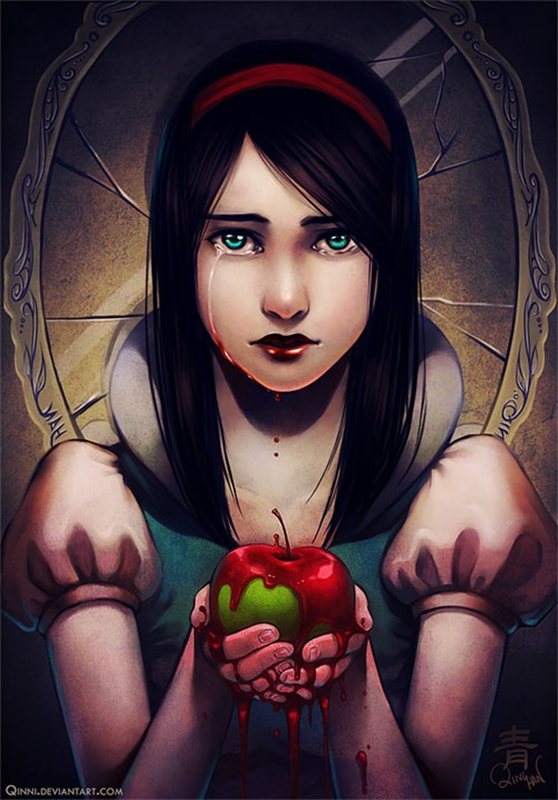 And she kept biting, sobbing with every puncture of the skin, fingers gripping the putrid apple as it withered away. This was what her soul ached for; anything to end the beauty on the outside. Her fairy tale ended with his life. Her throat constricted, as much from the thought of him as from the poison. Her prince wasn’t coming back. She bit again. She prayed her heart would stop beating if he couldn’t be in it. Bluebirds flitted around her even now, as her sky darkened as much as her heart had. All she could think, breathe, be was that he was gone. The birds chirped, mocking her with life as hers dripped away. Fire red poppies burst to life around her as she fell to the ground. Life may have flocked to her, but she couldn’t always make it stay. Loved it, it was beautiful and well written. A great story. Damn, Julie! It was stunning in its purity and pain. A thing of beauty and despair all wrapped up in a little red package. I wonder how many of us have had that exact apple within our grasp, convinced that taking the first bite would truly be the hardest part? You are talent, Jules. Pure and simple.